Ceecee Willis has always used her wealth she earned from her craft to buy what she wants. She sculpts, creating wonderfully simple but elegant modernistic stone shapes. Some things and some people aren’t for sale, like Maya Brooks, a realtor Ceecee hires to find the dream house for her and her twin sons. The two women bump heads about scheduling issues. Maya seeks revenge when Ceecee keeps wasting her time, turning up late for appointments or cancelling them at the last minute and leaving Maya with no sense of the style of house Ceecee desires. Eventually, the two women have a romantic encounter, but fate intervenes. Will a potential tragedy squash the blossoming relationship, making it impossible for Maya to find the perfect house for the perfect woman? 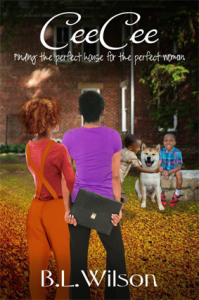 CeeCee, finding the perfect house for the perfect woman is available for pre-order 8/20/17 on Kindle. The release date is 9/2/17.